Gamers, rejoice! Fortnite for Android is finally here! But not so fast...there's a catch. As previously rumored, the popular battle royale game will start out as a Samsung exclusive, but any Android user may apply for a beta invitation. After the confirmation that Fortnite would not be available on Google's Play Store, the arrival date of the game and how to get it has been a headache for eager Android gamers. Now the answer is clear. The beta version of Epic Games' battle royale is available for download starting today. Some lucky Samsung fans can even start playing! Little is known about the reason for this decision, but after the controversy about the unavailability of the Google shop, another one comes in the form of an exclusive. Fortnite arrives as an exclusive title for Samsung's Galaxy series. And not just the newly released Note 9 as the rumors indicated. If you have a Galaxy S7 or better, you'll be able to play Fortnite battle royale title before anyone else! To get the game, head over to Fortnite.com/Android. But this exclusivity will only last two days, according to our source - basically an exclusive weekend for Galaxy S owners to be the envy of the Android world. 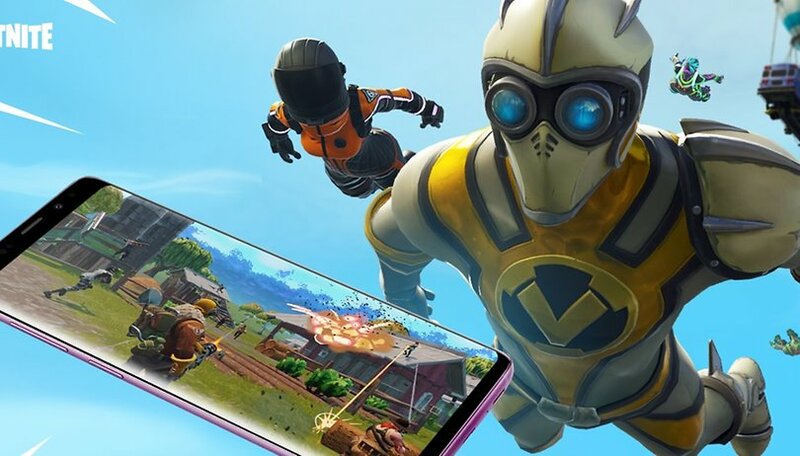 Epic Games CEO Tim Sweeney also announced that gamers on the new Galaxy Note 9 or Galaxy Tab S4 will also be able to enjoy special Galaxy skins. Here comes the other part. The beta version of Fortnite Battle Royale is scheduled to be opened for other Android phones in just a few days, according to Epic Games. Want to play Fortnite Battle Royale beta for Android? Access will be granted to players in waves, so be patient if you're not in the first selection! At the moment, we don't know exactly when the beta will open to all users (Epic's site hints it will just be a few days), or how many places total will be available for Fortnite beta players. If your device doesn't appear in the list, don't panic just yet, as Epic Games will be working on compatibility with more devices. Which battle royale is your favorite? Are you excited to play Fortnite on Android? How do you feel about this exclusivity period?